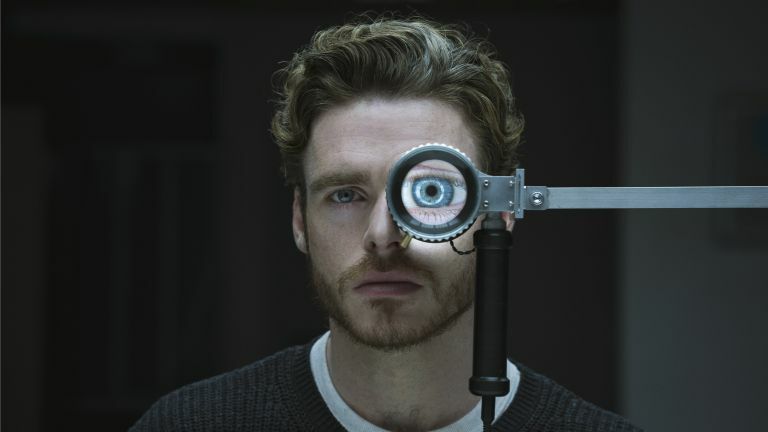 If you like tasty new TV shows, reviewing stuff and/or staring at dreamy Richard Madden for lengthy periods then your birthday has just come early. That's because Amazon has just launched its latest Spring Pilots season, which allows Amazon Prime customers to watch and - if they so desire - review 5 new shows via one-off pilots. The winner, which is in part based on customer feedback, will then be commissioned for a full series and turned into the next Amazon Original Series. Past Amazon Original Series that emerged out of previous Spring Pilots seasons include: Transparent, Mozart in the Jungle and The Man in the High Castle. It’s 1958 Manhattan and Miriam “Midge” Maisel (Rachel Brosnahan, House of Cards) has everything she’s ever wanted—the perfect husband, two kids, and an elegant Upper West Side apartment perfect for hosting Yom Kippur dinner. But her perfect life suddenly takes an unexpected turn and Midge discovers a previously unknown talent—one that changes her life forever. She charts a course that takes her from her comfortable life on Riverside Drive, through the basket houses and nightclubs of Greenwich Village as she storms the world of stand-up comedy…a course that will ultimately lead her to a spot on Johnny Carson’s couch. Based on the cult-hit novel The Book of Strange New Things from Michel Faber, Oasis follows a priest (Richard Madden, Game of Thrones) who is sent into space to help establish a colony on a distant planet. What he ends up discovering not only puts his faith to the test, but life as we know it. The pilot also stars world-renowned Indian actor and producer Anil Kapoor (Slumdog Millionaire, 24) as Vikram Danesh, the head of the base on Oasis. The Legend of Master Legend is a dark comedy about the life of Frank Lafount (John Hawkes), aka Master Legend -- a homemade superhero whose mission is to protect the people of Las Vegas from evil doers. Master Legend juggles the demands of justice with the even more complicated demands of his real family, who don’t see him as a hero at all. In 1983, three hapless city boys move from their comfort zone of the San Francisco counter-culture to Mendacino to grow marijuana. Their expectations of the experience being a back-to-the-land, nurturing adventure in a beautiful rustic setting run up against the harsh truth prior to their arrival at "The Summer Camp" – a miserably run-down shanty out in the middle of nowhere, where they are bedeviled by rats, snakes, mosquitoes, and harsh, unfriendly growing conditions, noisy neighbours, dangerous locals, and menacing law enforcement. Amazon’s first adult animated comedy show, The New V.I.P.’s follows a group of low level employees who seize control of a major corporation after accidentally murdering their boss. So, there you have it. A mixed bunch for sure, however, there does at least seem to be something for most tastes. So far we've only watched Oasis here at T3 Towers, however, the quality was high and despite veering off from the source material we want to see more. More information about Amazon's Spring Pilots season and Amazon Prime can be found on Amazon's official website.